Southeast Asia is so much more than an oasis of Chinese culture. Its unique landscapes and hidden islands are waiting to be discovered by mainstream tourism, and until that happens, it will be sure to please any travel-lusting wanderer. The isolation of its beauty is perhaps what sets it apart from every place else in the world. I originally wrote about these 5 undiscovered places in Southeast Asia as a guest post for GotSaga. There is nothing like a rejuvenating getaway amid turquoise waters and white sands. Add to that snorkeling in an underwater world of sharks, smoking shisha on the beach under the stars, riding a speedboat on low tide under the moonlight, and an upbeat atmosphere created by half a dozen small cafes serving up the most delicious milkshakes. Welcome to a volcano within a lake within a volcano within another lake! Hidden somewhere among the clouds, Taal Volcano is the world’s smallest active volcano, located on the island of Luzon in the Philippines. Tagytay City affords you breathtaking views of this natural wonder, while a climb up the volcano (strictly for the brave-hearted) can take you to the lake inside the volcano’s own crater, aptly called the Crater Lake. It’s easy to lose yourself in this diving haven. Perhaps its remoteness is what makes it so desirable; you can lie on a hammock for days at end, watching the mist play hide & seek with the Manado Tua volcano. You can ride atop the roof of a speedboat at sunset, looking at the most magnificent sky. You can spends days exploring the beauty in an untouched underwater kingdom. And never once will you feel away from home in Bunaken. You have probably heard of the natural wonder that is Halong Bay. If you dare, take a step into the lesser known north-west where a greater wonder awaits you; what locals dearly call the Halong experience on land. You’ll see landscapes stunning enough to trick you into thinking that you’ve entered the backdrop of Pirates of the Caribbean. Make your own trail in East Timor aka Timor-Leste, because there is none to follow. Contrary to accusations of being unsafe, the locals are welcoming & hospitable, and indeed the real charm of a country that has existed for less than 10 years. Its best-kept secrets include a host of lovely beaches and a beautiful countryside, and there’s no better time to visit than now. Which of these have you been to? Have you stumbled across any other hidden gems? I’ve been very lucky to visit all of the above destinations, so I can only agree with you on these 5 spots. They’re all wonderful! Ahhh…great memories are coming back to me right now 🙂 Thanks for sharing! That is really lucky Nisa 🙂 I’m transported to one of these places each time I revisit this post. Glad got some of your memories back too! Looks stunning! I’ll be visiting South East Asia next year, so these tips will be great! That’s great Roy, glad this post will help! Nice post. Great to see someone trying to escape the tourist trail. Cheers! 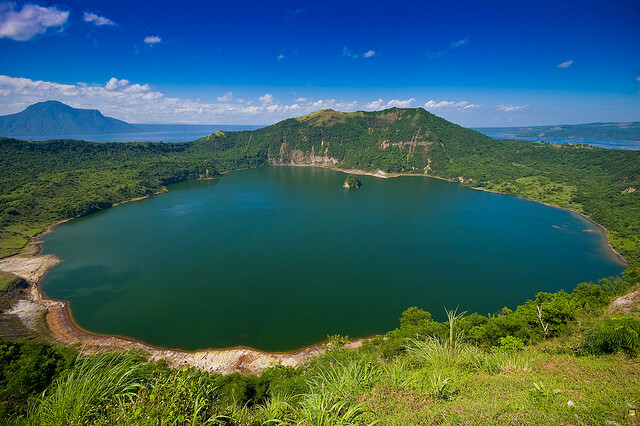 Taal Volcano, Philippines is really interesting….and not that far from Manila. It’s definitely worth the side trip. Very unique natural phenomenon! It is! Unfortunately I couldn’t trek up the volcano to the lake because it was completely covered in mist the day we were supposed to go & declared unsafe, but the views were spectacular! You’ll have to fly to Kuala Lumpur and take a bus from there I believe. Love this list! As we prepare to head to India then Southeast Asia this list will come in handy! Love following your blog – keep up the great work! Wow. You pretty much described my last two trip to the Perhentian Islands! Nice blog.. Good job.. Thank you so much for the information. They look very interesting places to visit once in a lifetime. Keep writing !!! Love this post. Perhentian Island is my favorite one. It’s beautiful. Being a Malaysian, I’ve only ever been to Perhentian but the other four destinations are in my bucket list too! Next Post25 Things I’d Tell The 25-Year-Old Me.